A teenager has pleaded guilty to causing the death of a 17-year-old girl by dangerous driving while high on cannabis. Tallulah Hampton, 17, of Tollfield, Kimbolton, was a passenger in a silver Ford Fiesta driven by Jack Simpson when it came off the road and hit a tree in Tilbrook Road, Kimbolton on August 28 last year. 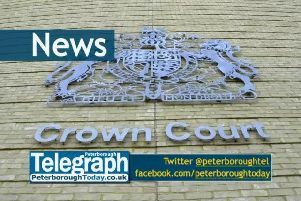 Simpson, 19, of Maurice Close, Kimbolton, today, Wednesday June 21, pleaded guilty at Peterborough Magistrates’ Court to causing death by dangerous driving while over the drug limit, causing death by driving a vehicle otherwise in accordance with a licence and causing death by driving without insurance. Simpson, who wore a dark suit, white shirt and a neck brace for the hearing, was granted bail until a sentencing hearing at Peterborough Crown Court. The case was adjourned for reports to be carried out. Iain Denning, headteacher at Sharnbrook Upper School, where Tallulah was a former pupil, said: “Tallulah was such a gutsy, strong character and a natural leader. Libby Lionetti, owner of La Piazza in Bedford, where Tallulah worked at weekends, said: “This young girl worked at my cafe as a Saturday girl.